The Special Edition Maruti Suzuki Dzire is available on the base LXi and LDi trims, and gets additional equipment at a marginal premium. at a marginal premium of ₹ 30,000 on both the petrol and diesel versions. 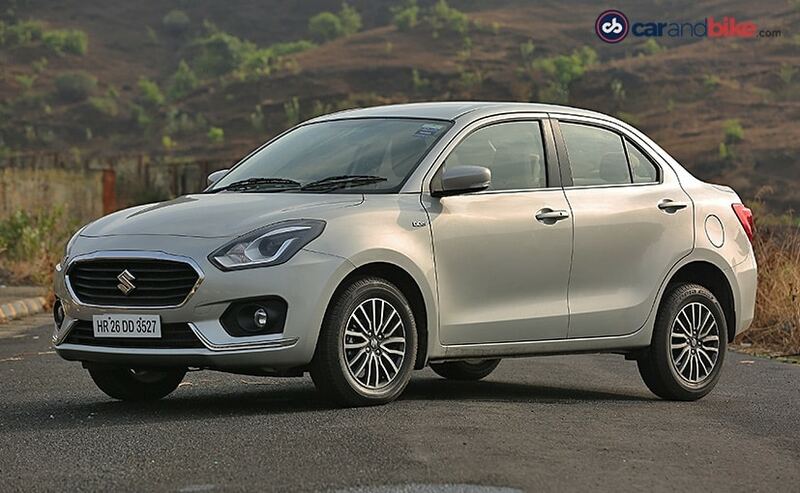 The Dzire is the country's best-selling subcompact sedan at present averaging over 20,000 units every month and the Special Edition version arrives just ahead of the festive season, making the model a lucrative option for buyers. Features on the Maruti Suzuki Dzire Special Edition include front power windows, wheel covers as well as rear parking sensors. The car now comes equipped with the 2-DIN audio system, two-speakers and Bluetooth connectivity. The base trims also get remote locking as part of the special edition version. The new generation Dzire is already equipped with dual airbags, ABS and brake assist as standard across all trims. With respect to features that are missing, the base trims do not get alloy wheels, projector-lens headlamps with LED daytime running lights, SmartPlay infotainment system, leatherette seats and more on the Dzire. The loaded entry-level variants are sure to attract a lot of buyers that would be looking at a better deal elsewhere for a more feature-rich subcompact sedan. The Dzire competes against the Tata Tigor, new generation Honda Amaze, Hyundai Xcent and the Volkswagen Ameo. The Amaze received a price hike starting this month, after being the company's best-seller in July, 2018. 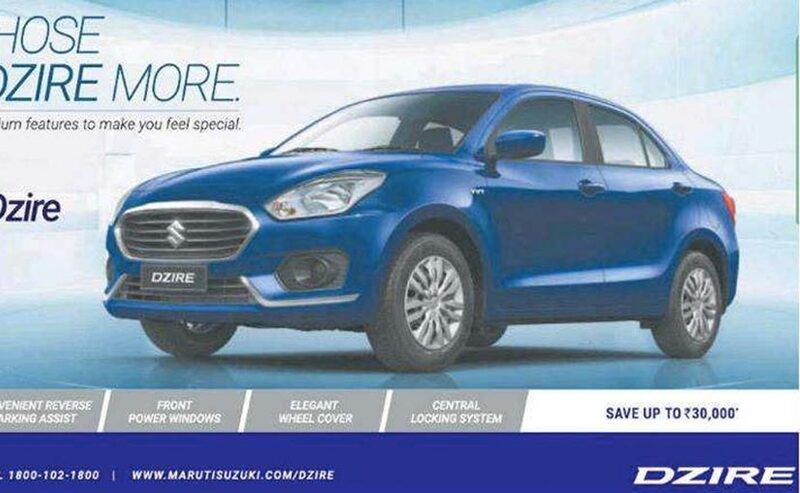 Compared to the entry-level Amaze, the base Dzire is cheaper by ₹ 24,000, while the base Xcent is ₹ 5000 cheaper than the Maruti offering. The Ameo also commands a lower entry-level price tag of ₹ 5.52 lakh over the Dzire (all prices, ex-showroom, Delhi). However, the base models miss out on the features currently offered on the special edition Dzire. The Maruti Suzuki Dzire is powered by the 1.2-litre petrol engine with 82 bhp and the 1.3-litre diesel mill with 74 bhp on offer. The subcompact sedan is available with a 5-speed manual and AMT options. The Dzire is also one of the most fuel efficient cars in its segment with an ARAI certified fuel efficiency of 22 kmpl on the petrol and 28.40 kmpl on the diesel. Meanwhile, Maruti Suzuki is gearing up to introduce the Ciaz facelift later this month in the country. The compact sedan will get a comprehensively revised front styling, while there will be a brand new 1.5-litre K-Series petrol motor making its India debut with the Ciaz. Bookings for the car have already commenced at Nexa outlets.